Have you ever come across spiders and snakes fighting each other? Sounds interesting, right? We really don’t get to see spiders and snakes fighting, but they do. We usually see spiders and snakes in garages or basements. As the place is not used, spiders build their web and snakes build a shelter for themselves. But we didn’t see both fightings. 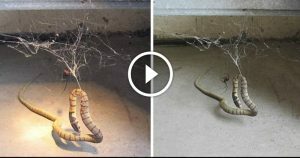 Here is a video in which a spider and a snake are fighting in Australia. The son of a West Australian woman Jamii-Leigh Marwick found a spider attacking a brown snake in their shade. He then thought of filming the moment. He took the camera and captured it. A giant red spider and brown snake crossed their paths. It seemed that the spider didn’t like the snake and the spider caught the snake, liquefied it and drank its venom too! 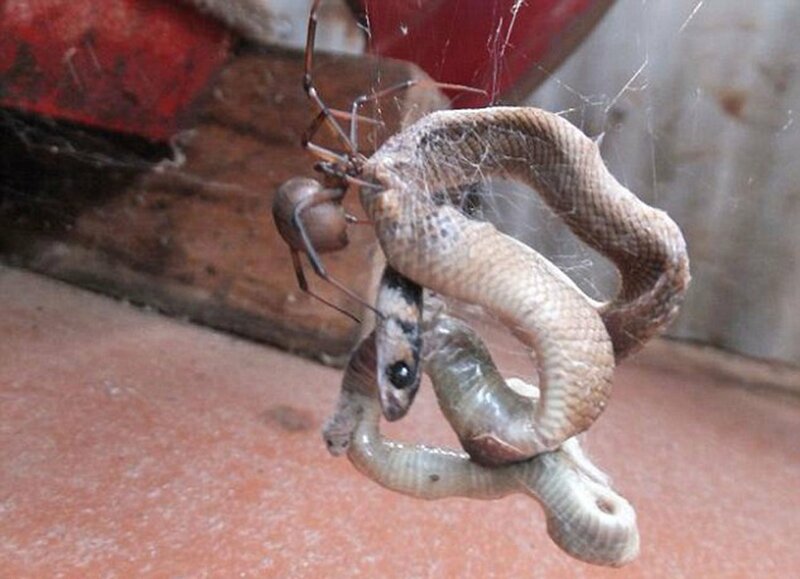 ‘A battle between two of Australia’s most venomous creatures has unfolded in a woman’s backyard shed and ended in an unlikely outcome.